The Federal Funds Rate is the interest rate that banks charge each other to lend Federal Reserve balances overnight. The Federal Open Market Committee meets several times a year to oversee progress and if changes need to be made. What dictates the going rate? The answer to that is The Federal Funds Rate. The Federal Funds Rate is the interest rate that financial institutions charge each other to lend Federal Reserve Funds on an overnight basis. There is a Federal Reserve requirement, meaning that there needs to be a minimum balance. If someone has more than the minimum, they will lend the excess balance to another financial institution who doesn’t meet the requirement to help them. The Federal Reserve requirement is very important because it ensures that every dollar they get isn’t spent. Why is the Federal Funds Rate Important? The Federal Funds Rate directly influences the interest rates on many products that keeps the US Economy growing. Auto loans, adjustable rate mortgages, business loans, and credit cards are all products whose interest rates depend on the Federal Funds Rate. If the Federal Open Market Committee (FOMC) decides to raise the Federal Funds Rate, rates will be on the rise. When rates go up, things generally cost more because more money will be going to interest. 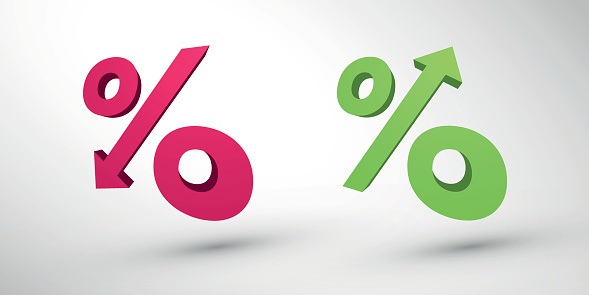 Fixed interest rates mortgages are exempt from these changes since the interest rate is fixed and locked in. What Does it Mean When Rates Go Up? When interest rates go up, that means items purchased on borrowed money will generally cost more money. This isn’t good news since we all work hard for our money and we would like to keep as much of it as we can, but rising interest rates aren’t necessarily bad. When rates go up, this means that we are in a time of economic growth. Raising the interest rates is a way to prevent inflation from happening since it makes things more expensive to buy. By raising rates and making things a little bit pricier, it prevents more people to purchase and keeps the prices from skyrocketing. What Does it Mean When Rates Are Low? When rates are low, it means that we need to stimulate the economy and have economic growth. The best example of this is to think of a sale at a store. The store will eventually have to put something on sale if it isn’t selling. If we are in an economic slump and things are too expensive, people will not spend money and contribute to economic growth.